I've been having a hard time communicating with my blog. It has to do with hurricane season and my birthday. This year I decided my birthday was going to be different. In 2005 hurricane Katrina was my 50th birthday present. I was determined not to celebrate my day reliving this event that changed my life and so many others. I picked the weekend before to have a party. I invited my friends over for cake and ice cream. I had big plans to capture this day with photos. I ordered a white almond wedding birthday cake with butter creme frosting from Heydel's bakery. 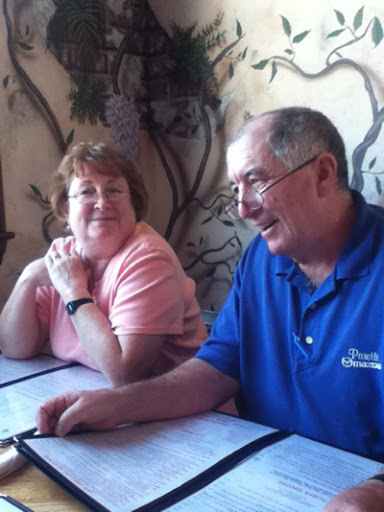 We met at Quarter View for dinner. I love the decor. 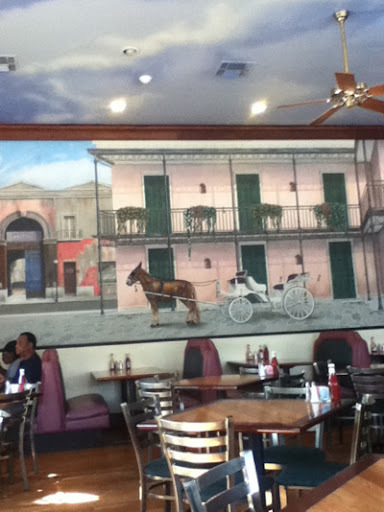 The walls are painted with a muriel of the French Quarter. It has a good atmosphere and the Red Fish was excellent. Phil was telling a joke when I snapped this shot. We were having so much fun I forgot to take any more pictures! You will have to take my word that the cake beautiful. I treated myself and bought the camera connection gadget for my iPad. I snapped this photo with my camera and used the device to upload it. A quick fix with an app and there you go a picture of my birthday present from my friends Sally and Carol. 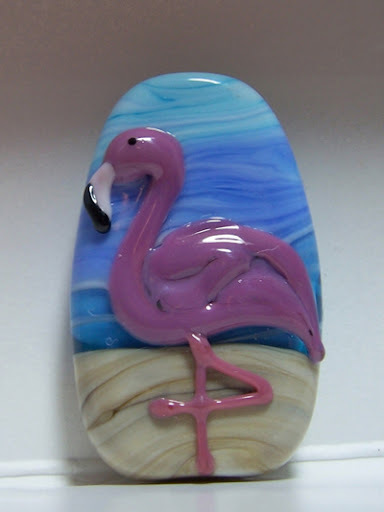 I love flamingos. They found the perfect gift that really made my birthday special. I am so grateful to be blessed with friends. They are the best of all gifts. Sending belated Birthday wishes - may your new year be filled with love, laughter and joy. Sounds like your birthday celebration was wonderful. Renate and LeAnn thank you for the birthday wishes!